NEW CANAAN, Conn., May 24, 2011 (SEND2PRESS NEWSWIRE) — Prevail Consulting, Inc., a leading software and technology services provider for the property and casualty insurance industry, today announced the launch of its Prevail Reinsurance System Hosted Solution. Companies will now have the ability to manage their reinsurance business in a secure and scalable environment, while reducing the costs associated with in-house IT infrastructure, personnel and maintenance. The Prevail Reinsurance System fully automates the management of reinsurance data for insurance and reinsurance companies. It accepts premium and loss data from external systems, calculates ceded data, creates payables and receivables and statutory reports, and then returns this data to the original systems, utilizing the Prevail Cession Web Service, XML or FTP. Built on state-of-the-art web technology, it can be accessed from anywhere in the world. And it’s rules-based, table-driven architecture allows rapid and simple implementation of new and existing reinsurance contracts. In addition to the Hosted Solution, Prevail continues to offer the Prevail Reinsurance System through its standard software licensing and services model. The launch of the Prevail Reinsurance System Hosted Solution is a further milestone in the company’s strategy for making its Prevail Reinsurance System recognized in the industry as the best in its class for robust functionality, quick implementation, infrastructure flexibility and cost-effectiveness. Since 2000, Prevail has been providing reliable and innovative technology services exclusively to the insurance industry; it is clearly recognized by its clients for business expertise, commitment, and ability to deliver quality work products in a cost-effective manner, no matter how complex the requirement. In addition to The Prevail Reinsurance System, Prevail delivers Application Development and Maintenance Support; Technical Support for leading Insurance Software Products; Business Analysis; Independent Quality Testing; Data Migration and Integration; P&C Insurance Systems Assessment; and Business Process Outsourcing. For more information, contact Ms. Pilar Hoyos at: 203-972-7449; or email: phoyos@prevailconsulting.com; web site: www.prevailconsulting.com – or come visit Prevail at the June 5-8, 2011 IASA Conference in Nashville, Tennessee, booth #923. 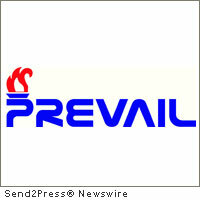 Original Keywords: Nat Curiale, Prevail Reinsurance System Hosted Solution, Application Development and Maintenance Support, Technical Support for leading Insurance Software Products, 2011 IASA Conference in Nashville, property and casualty insurance industry Prevail Consulting, Inc. New Canaan Connecticut NEW CANAAN, Conn.
REFERENCES: Banking News, Nat Curiale, Prevail Reinsurance System Hosted Solution, Application Development and Maintenance Support, Technical Support for leading Insurance Software Products, 2011 IASA Conference in Nashville, property and casualty insurance industry Prevail Consulting, Inc. New Canaan Connecticut NEW CANAAN, Conn.